The score is one of Rossini’s very richest, and the opera was one of his most popular. 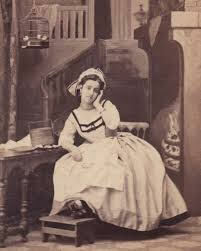 It was so successful that Donizetti wrote a “remake” of it - Linda di Chamounix, one of his most popular works in its turn, is modeled on La Gazza role by role and almost piece by piece. For a good while the same interpreters were prominent in both operas. Linda survived longer, staying on the fringes of the repertory as late as the 1930s, but the earlier opera had a long run as well. It was one of the few Rossini titles still in the standard repertory after the composer’s death, and was the last one he retouched: in 1867, nearly four decades into his legendary retirement and a full half-century after the work’s birth, he helped out with a Paris production, supplying some ornaments and a new section in the finale for the young soprano Adelina Patti. La Gazza has another interesting distinction: it is mentioned oftener than any other opera in the letters of Chopin (a huge Bel Canto fan), and quoted or paraphrased more than once in his music. His single best-known composition, the Funeral March in the second piano sonata, follows closely the structure of Ninetta’s procession to the gallows: the march is heard twice in a terrifying crescendo, with a melodious prayer between. The one part of the opera never forgotten is the overture, which has remained a concert favorite and been used in several film and television soundtracks. It may sound cheerful to modern ears, which makes its use for a gruesome scene in A Clockwork Orange seem a bit of brilliant grotesquerie. But - in fairness to both Stanley Kubrick and Rossini - when the overture’s music returns twice during the opera, it is associated each time with Ninetta’s death sentence.